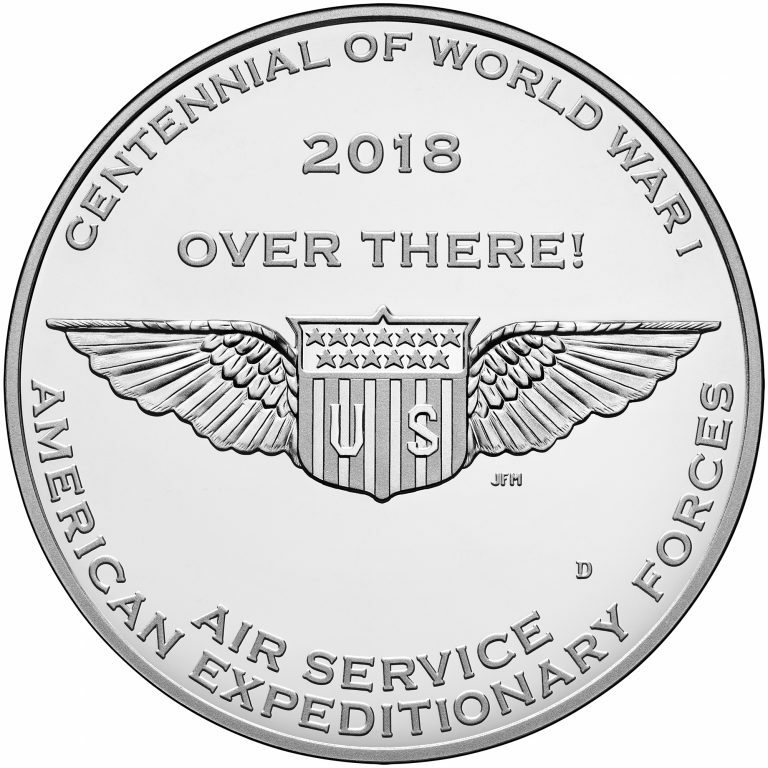 The World War I Centennial Silver Medals were issued in conjunction with the congressionally authorized World War I Centennial Silver Dollar. The obverse (heads) and reverse (tails) designs of these medals honor each branch of the U.S. Armed Forces active in World War I. 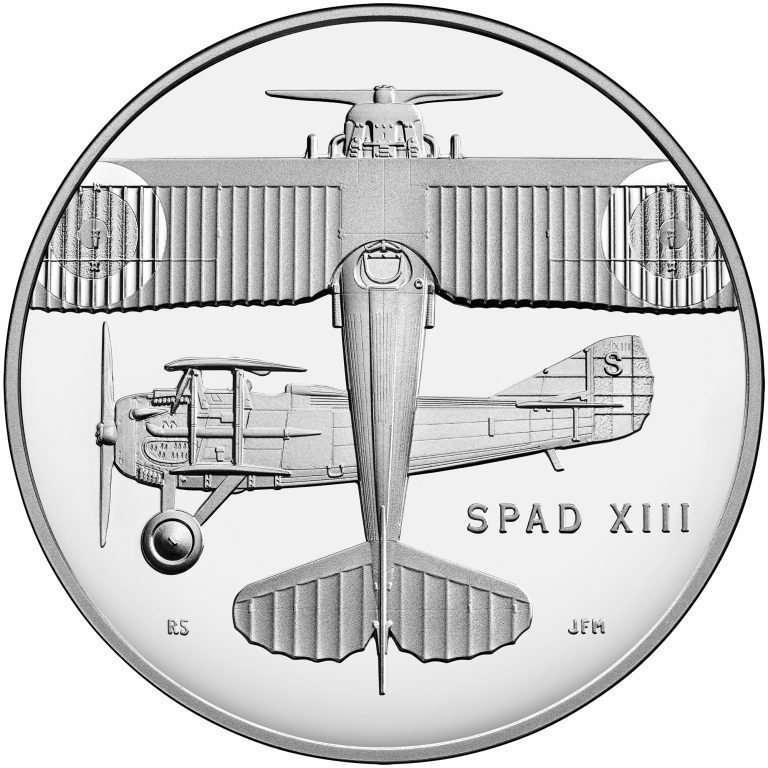 The obverse design depicts the iconic SPAD XIII, a World War I fighter flown by many Americans and valued for its speed, strength, and firepower, viewed from the top and side. The inscription "SPAD XIII" identifies the aircraft. The reverse design features the Military Aviator Insignia.